The plastic formwork that is being used now in China are plastic PP formwork, bamboo-reinforced wood-plastic formwork, and plastic mold shell. 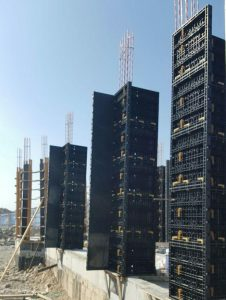 The new plastic formwork being developed includes wood-plastic composite particle board formwork, GMT building formwork, and engineering plastic large formwork. In recent years, developed countries have developed plastic formworks of various specifications. 1) Steel frame plastic formwork and aluminum frame plastic formwork, such as the German MEVA formwork company developed a steel frame plastic plate formwork with a thickness of 12 mm and 15 mm. The plastic plate is light in material, good in wear resistance, and can be used in more than 500 times, and is easy to clean and repair, and has good economic benefits, is generally welcomed by users. Germany HNNEBECK formwork company developed a kind of aluminum frame plastic panel forms with plastic plate. The plastic panel is divided into two layers and can also be used for several hundred times. This aluminum frame plastic formwork is very light, and the formwork is easy to assemble and disassemble. 2) Plastic formwork lining, such as Germany NOE formwork company designed more than 130 different patterns of plastic formwork lining, so it can meet the external decoration for wood, brick, stone, plaster and other appearance effects. American SYMONS formwork company has developed a variety of plastic decorative linings, which are divided into seven categories, 193 kinds and 705 specifications, including line type, wood pattern; brick type; stone type; stone type ; smooth groove type and other types of lining. Due to the wide variety of specifications, it can be widely used in bridges, overpasses, building exterior walls, soundproof walls, ceilings, and the floors of public buildings such as stations, office buildings, and restaurants. 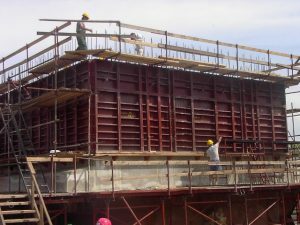 3) All-plastic decorative formwork, such as ACC formwork company in the United States has developed an all-plastic decorative formwork. The frame and inner ribs of this formwork are high-strength plastics, and the board surface is pressed into various plastic plates, using connecting pieces. It can be assembled into a wall mold or a column mold. After pouring the concrete, it can form various concrete walls with imitation stones. The shape is very realistic and the decoration effect is very good. The EPIC plastic formwork system was developed by the EPIC Group of Slovenia. The formwork is made of polypropylene as the substrate, special fiber reinforced composite material, injection molding, and the complete formwork system consists of 7 specifications and 25 connectors. 4) One-time formworks, such as the German PECA template company, developed a formwork for attaching a layer of plastic cloth to the steel frame. This formwork is mainly used for formwork construction such as foundation and floor. 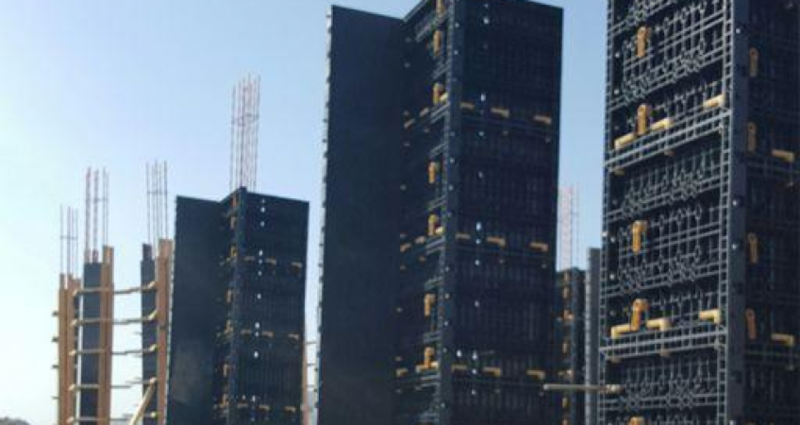 Some formwork companies in the United States have developed a disposable forms using a blistering plastic, which is used as a wall formwork and a wall insulation layer, and the two-wall formwork is connected by a steel bar or a plastic rod. 5) GMT formwork, GMT is a plate-type composite material which is made of plastic polypropylene and its alloy as the base material and is reinforced with glass fiber and mica. It is one of the most advanced composite materials in the world. It has the common advantages of copper, glass steel and other materials, such as light weight, high strength, fatigue resistance, impact resistance, toughness, good corrosion resistance, wear resistance and water resistance.